1. Activate the Visual Basic Editor window. 2. In the Project Explorer, select VBAProject(ChartEvents.xls). 3. Choose Insert | Class Module. 4. In the Class Modules folder, you will see a module named Class1. 5. In the Properties window, rename Class1 to clsChart. The Public keyword will make the object variable xlChart available to all modules in the current VBA project. Declaring an object variable using the WithEvents keyword exposes all of the events defined for that particular object type. After typing in the above declaration, the xlChart object variable is added to the drop-down Object list in the upper-left corner of the Code window, and the events associated with this object variable appear in the Procedure drop-down list box in the upper-right corner of the Code window. After typing in the event procedure, you still need to inform Visual Basic that you are planning on using it. The instruction shown above declares an object variable named myChart. This variable will refer to the xlChart object located in the class module clsChart. The New keyword tells Visual Basic to create a new instance of the specified object. 11. Run the InitializeChart procedure. After running this procedure, the event procedures entered in the class module will be triggered in response to a particular event. 12. 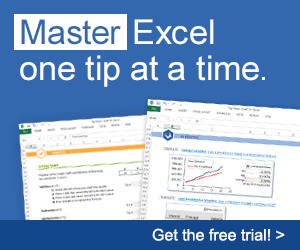 Activate the Microsoft Excel application window and click the embedded chart. At this time, the xlChart_Activate event procedure that you entered in step 7 should be triggered. 13. You can now enter in the class module additional event procedures for the embedded chart.